FareShare is one of our oldest customers and one we are very proud to be associated with. The FareShare team, both professionals and volunteers, are impressive and we would encourage anyone passing nearby to visit their operations (Unit 7 Deptford Trading Estate. Blackhorse Road. London SE8 5HY). A fleet of refrigerated vans, large fridges, endless rows of shelving space and lots of love, goodwill and manual work are at the core of FareShare operations. It is almost a paradox that even food charities have sometimes food waste but it is also evidence of how difficult is to match the supply and demand for food even among those who need it most. It is in those occasions that Quantum Waste is involved. 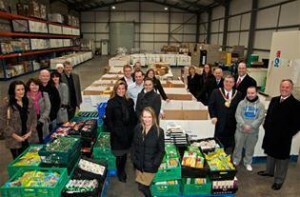 For us it is very simple to work with FareShare as we are just a few minutes away (literally) and always happy to help. 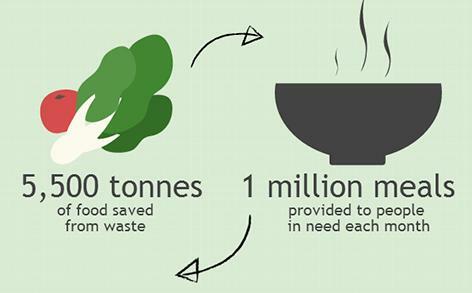 Also, FareShare has always been extremely diligent at separating their food waste from packaging and everything else to ensure the maximum recycling rates. Also, an small tip for those wanting to work with FareShare: nobody in London pays invoices as fast as FareShare do and we very much appreciate their diligence and the help to pay our people on time.